November 1, 2016 | -by: Kevin George. An email marketing campaign is like a house. Its built brick-by-brick by combining different elements such as Email deliverability, Subject line, clean list, personalization and most important, a campaign specific landing page. 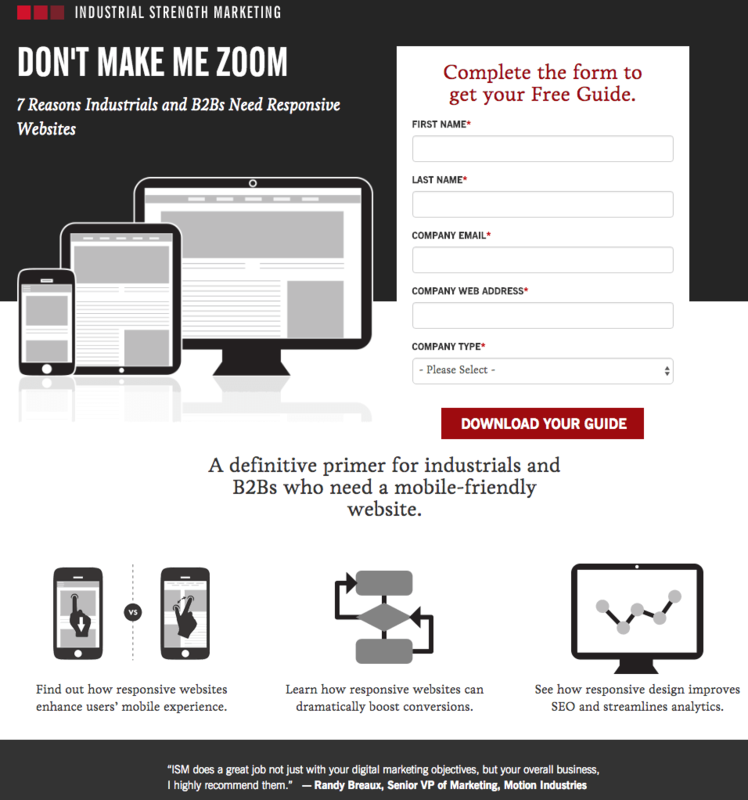 Even though important, the landing page is sometimes overlooked or not optimally utilized. Monks shall share their experience, in designing and coding 1000s of landing pages, to explain how landing pages can help ease your email campaign conversions. A Landing page by definition is a single page designed to get a specific audience to take some action in exchange for information. What are the benefits from the offer? Would the visitor need the offer NOW? How does the visitor get the offer? Information needs to be passed but overloading information as soon as the visitors land shall drive them away. Keep the catered information brief, to the point and yet comprehensive. Start with a strong appealing headline, followed by an informative sub-heading and engaging landing page copy and finally ending with a CTA with actionable words. Zipongo’s Landing page is one of the good example to explain the above statement. They started with a great headline, a great discount, a crisp sentence on how the information provided shall be helpful for the visitor and finally a huge CTA button to take action on. Building upon the previous statement, the landing page copy should be engaging. The language should be easy to understand. Highlight your USPs the visitors can benefit from, when they avail your services or products. Create a sense of urgency by combining action-provoking content with similar images. If using images, make sure that image loading doesn’t add much to the overall site loading time. 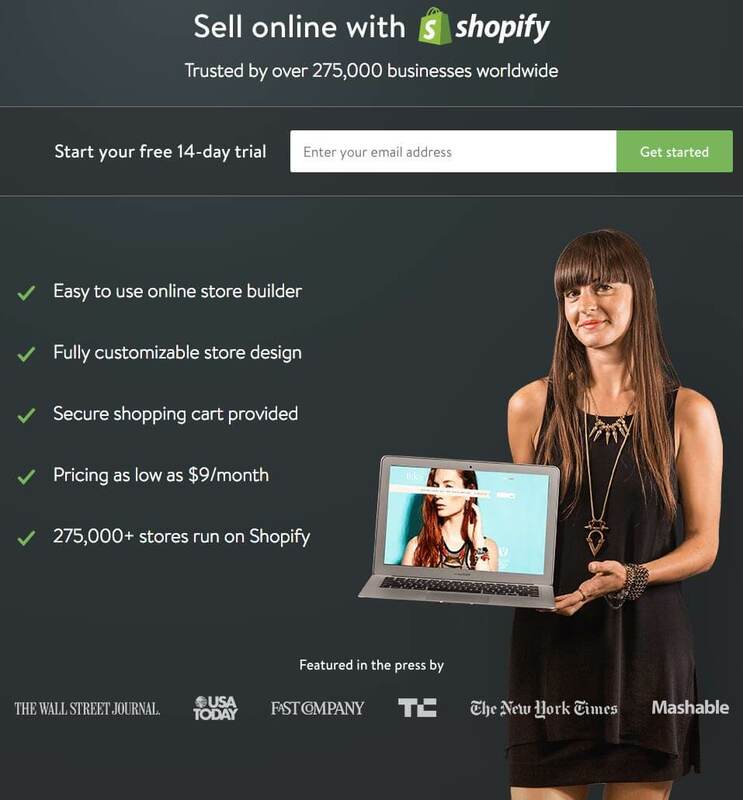 Shopify’s Landing page is a very minimalistic one with a bulleted points of their USPs and a relevant image to the service provided. It’s decision time. This is the point where the visitor shall magically convert or disappear into oblivion. Monks have enlightened on best practices to be followed when including a lead generation form in your landing pages in a previous blog. 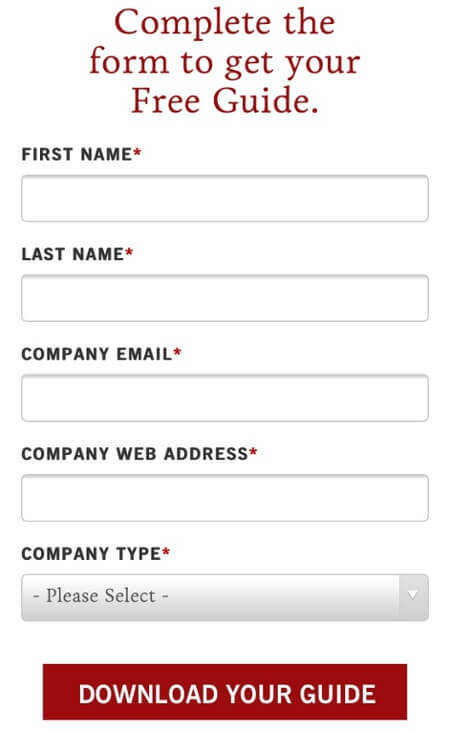 Complement your landing page form with a relatable CTA copy which plays a vital role on the ROI. In the below stated example Basecamp offers 60-day free trail by actually stating the same in the CTA copy. Where do marketers go wrong? Many email marketers mistakenly tend to go overboard while traversing the extra mile. The difference between a high converting and a highly averted landing page is the attention to smaller details. Not campaign specific: Almost 48% of landing pages contain multiple offers. Although a bold move, for such landing pages the visitors tend to be caught between these offers and may only opt one which affects the overall conversion. Tip: Focusing on a campaign specific landing page, the message conveyed in the email shall remain intact when any lead lands on your landing page and helps in having their utmost attention. Wrong Typography or Formatting: As stated earlier, the language needs to be easy to understand, adding bullet points wherein necessary. Some landing pages tends to have paragraphs regarding their services and some tend to have an affinity to H1 headline and everything is stated in capitals. Even though you have only 8 seconds to capture a visitor’s attention, they cannot be overwhelmed with each sentence glaring like a headlight into a deer’s eye. Tip: Make use bullet points to list your Sellable services or takeaways. Highlight the most important USPs. New Year; Same old landing page: Months change, seasons change but some landing page stay the same. Staying up-to-date with current trends can help you find the sweet spot, wherein your landing page captures more leads than before. Lack of A/B testing: No landing page is perfect at the first try. By A/B testing the different elements you can uncover the true potential of your landing page conversions. These are no mere words as brands such as DELL, Hubspot, WWF Switzerland and many others have found astounding results on doing corrections based on the A/B testing results. Responsiveness: Since most of the emails are now opened in mobile devices, it is very necessary for your landing pages to be mobile-optimized. The following example by Industrial Strength Marketing is an apt example to explain this. The at-your-face tone in the headline followed by the sub-heading that supports the headline is really good. The page when viewed in mobile shows the responsive view with bigger fonts and form fields. A landing page should answer questions regarding the offer, its benefits and way to avail the offer. Maintain easy clutter-free navigation on your page. Create a sense of urgency by combining action-provoking content with similar images. Ensure your landing page is campaign specific. A/B each element of your landing page to unwrap their true potentials. 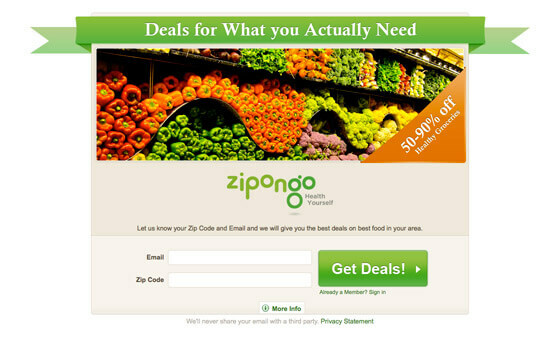 Does your landing page help ease your email campaign? What are your observations? We’d love to hear from you!